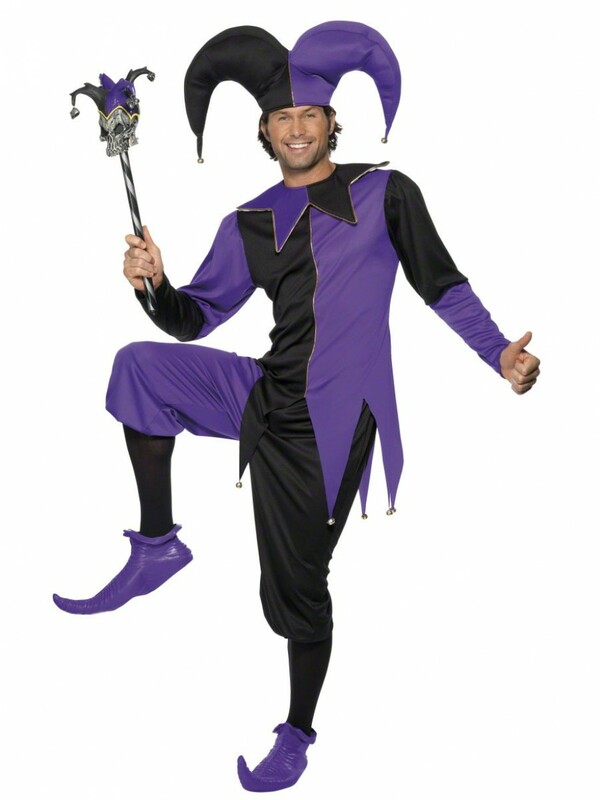 A fun black and purple Medieval Jester Costume which includes Top, Trousers and Hat. Great fun for any fancy dress occasion. 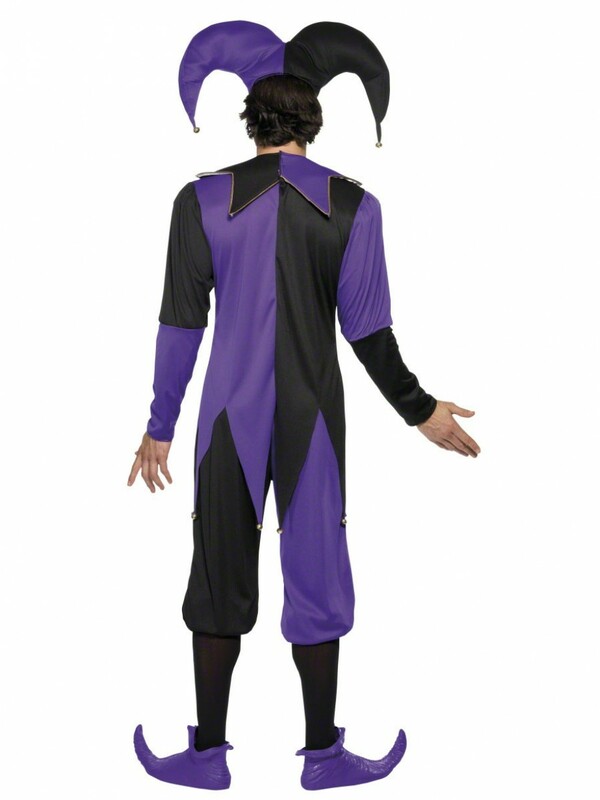 This fun Medieval Jester includes Top, Trousers and Hat. 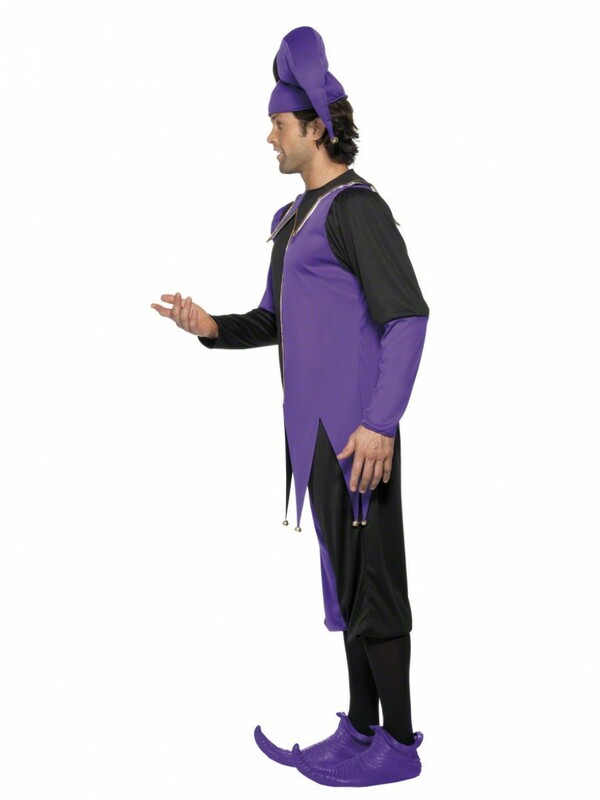 The purple and black top has a padded collar, gold trim and fun hanging bells from the bottom. 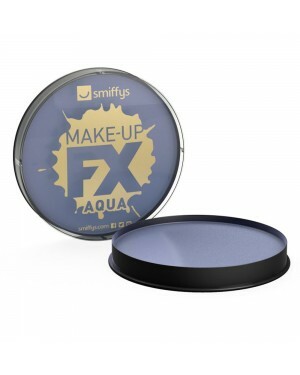 The material is soft and slightly stretchy. The matching trousers have an elasticated waist for comfort. The giant padded hat with two further bells perfectly completes the outfit! This costume is available in One Size to fit most. Size guidelines: Chest up to 38”-40” and Waist up to 32”-34”. Please note that the skull accessory and shoes are pictured for illustration only.